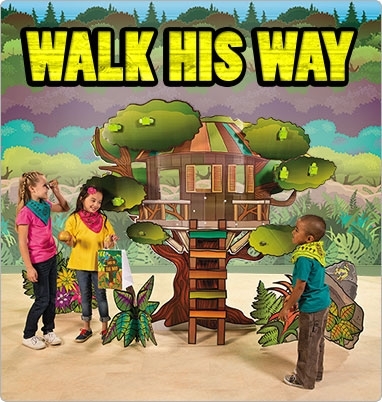 Praise Lutheran Church presents Walk His Way, a fun-filled adventure trail in walking in the way of the Lord, as its 2015 summer Vacation Bible School. Friday, June 5 from 5 p.m. to 8 p.m.
Dinner will be provided and parents may plan their own special “date night” or join us for dinner before VBS begins. If your work schedule won’t allow for a 5 p.m. arrival, come when you can. Saturday, June 6 from 8:45 a.m. to 1 p.m. 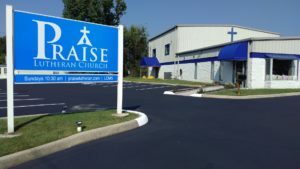 Registration and check-in at 8:45 a.m.
Students will have a final lesson during the Sunday school hour, perform music before the service, and attend church services at 10:30 a.m. All parents are invited to join us for Bible study at 9:15 a.m. and worship at 10:30 a.m.